This is an excellent example of Tony Porter's work. 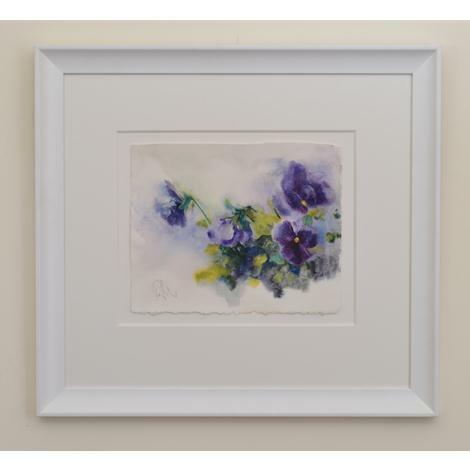 The intensity of colour generated by the velvet petals of the pansies and the translucence of the paint as it dissolves into nothing, is joyous and evocative. Signed, lower left; inscribed with title verso, concealed by mount.